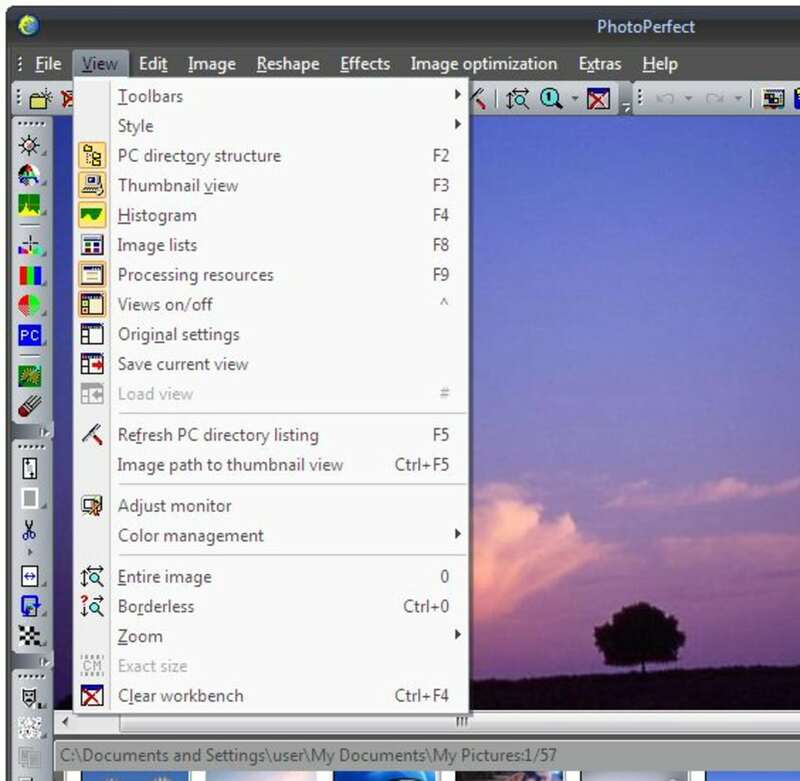 If you need a comprehensive photo manager with image editing tools and browsing capabilities, PhotoPerfect is probably what you're looking for. This photo suite lets you browse your collection of digital images, either in thumbnails or at full screen size, and improve them in case they need it. 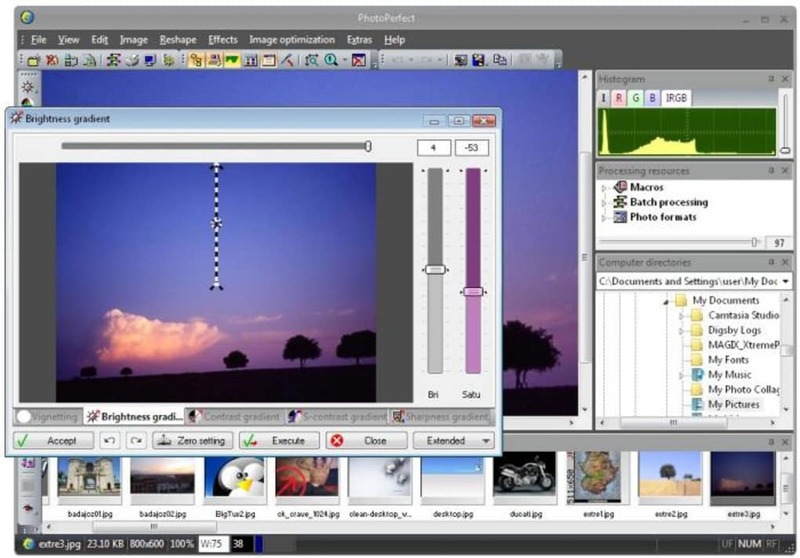 The program features a wide selection of editing tools (red eye removal, watermarking tool or noise reduction among others) as well as special effects and filters with which you can make your picture look totally different. You can also see extended information about each photo, including a histogram and EXIF data. One thing I especially like about PhotoPerfect is the ability to perform macros on your photos and run batch processes such as optimizing images for web publishing, which certainly saves you loads of time and work. 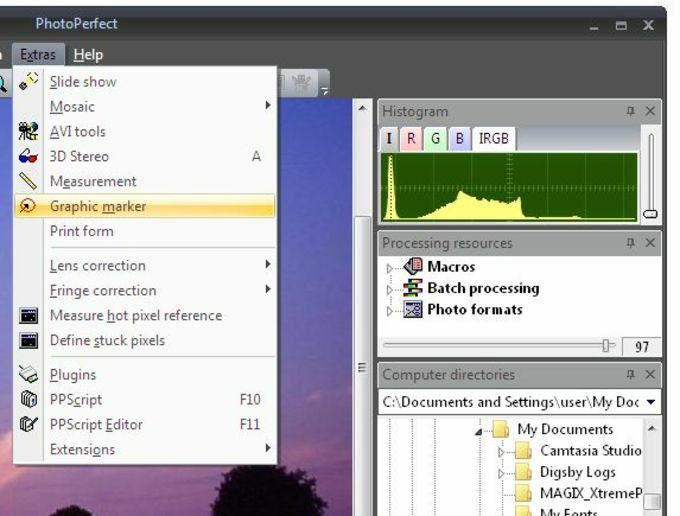 In spite of all these features – and the program's name – PhotoPerfect is not perfect. Its main flaw in my opinion is an overwhelming interface, overloaded with toolbars and endless menus that make the program more difficult to use than it really is. PhotoFiltre is a complete photo suite with powerful editing tools and special filters, partly ruined by an overloaded interface. 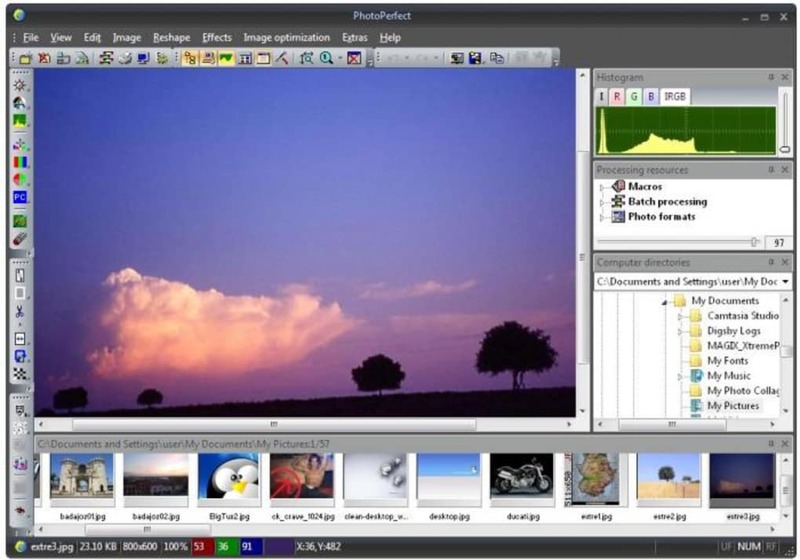 PhotoPerfect combines the power of a professional photo editing software with the simplicity of one-click image optimizations to give photo enthusiasts, semi-professional and professional photographers the ability to create the best possible images. 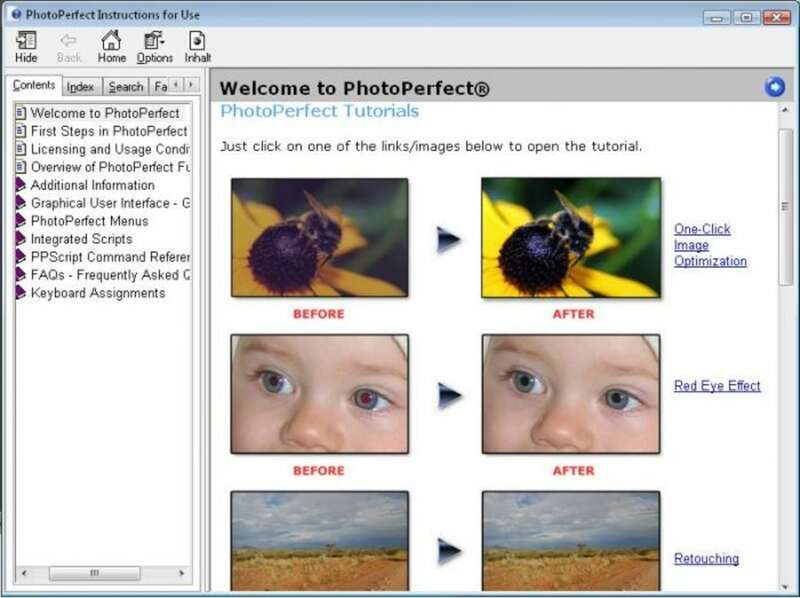 What do you think about PhotoPerfect? Do you recommend it? Why?